Rosenfeld Injury Lawyers LLC represents people with severe injuries involving poisoning by exposure to lead. Our law firm has collected a series of lead poisoning injury FAQs related to the medical and legal aspects of an accident involving exposure to lead and lead-based products. Should you have additional questions, we invite you to contact our office for a free review of your legal rights. The premises liability attorneys at Rosenfeld Injury Lawyers LLC have compiled a comprehensive list of the most frequently asked questions involving lead poisoning lawsuits and posted the answers below. Many families use this information to determine how to take legal action for justice and to obtain the financial compensation they deserve for their injuries and damages. How can a child be exposed to lead? Before 1978, building material and paint companies manufactured their products using lead-based materials that were later determined to be the most dangerous source of lead exposure to children in America. Every house built before 1978 likely contains lead-based paint products on the walls, on doors, around door frames and windows. Over time, the paint has deteriorated, causing a significant problem of lead exposure. Who is most at risk for lead exposure? What can I do to prevent exposure to lead? Speak with the local health department and find out how to test the paint and dust for lead particles that could exist in the building. Ensure your children do not have access to lead-based paint surfaces that are peeling away or easily chewable. Pregnant women and children should avoid living or spending time inside homes built before 1978 that are being remodeled or renovated. Avoiding contaminants includes not participating in any activity that could disturb the old paint that kicks of dust or debris. Routinely wash your child's hands and the toys they play with that could be contaminated by exterior soil and household dust. Routinely use wet wipes or wet mop products to clean the floors and windows to minimize the potential of picking up lead-based particles and dust. Do not allow your child the play in dirt, sand or soil around the building or home. Instead, construct the sandbox and fill it with clean sand from a non-contaminated source. Barricade your child access to wood chips, mulch or grass growing in contaminated soil. Could my unborn baby be affected by exposure to lead? Yes. Dangerous lead levels to have been found in the bones and blood of pregnant women exposed to lead products. If an expecting woman is exposed, the lead can easily cross the mother's placental barrier in her womb, which in turn could affect the fetus. Lead can also pass to a newborn infant through contaminated breast milk. Problems can occur when want to be dads are exposed to lead at their job or home. Elevated lead levels in men have shown a decreased potential for fathering healthy children. Damaged or contaminated sperm can affect how the infant grows and matures and has been shown to cause significant health issues in the baby. Some of these father-related problems from damaged sperm are known to cause miscarriages, premature delivery babies, stillborn, and low birth weight. Can my family be tested for lead exposure? Definitely. If you have adult risk factors or your children have child risk factors indicating lead poisoning, it is essential to talk to your family doctor about you, your spouse, and children getting blood tested to identify the presence of lead. What is the safest level of lead in the bloodstream? According to the CDC, there are no known safe levels of lead in the bloodstream. Lead is not considered an essential component of our environment and humans and other mammals receive no nutritional value through exposure. What is an effective treatment for lead? Unfortunately, no innovative treatments have been developed to reverse the damaging effects of exposure to lead. Some doctors recommend chelation therapy for a child exposed to lead. However, the treatment procedure will merely lower the level and not eliminate the damaging effects that the metal can cause. Typically, chelation therapy is used as a last-ditch effort when the poison levels in the blood are extremely high. While there is no treatment, taking steps to prevent lead poisoning can protect your children and your family. How would I know if my child is in danger of being poisoned by lead? Every child has a potential risk of being exposed to lead and suffering lead poisoning. The damaging effects of lead poisoning cross all cultural barriers. However, if you remain vigilant and in evaluating every place your child spends time, you can take a proactive posture to ensure your children avoid any buildings constructed before 1978 or take measures to provide safeguard to prevent their exposure. Is lead poisoning contagious and easily spread to others? No. Poisoning caused by exposure to lead does not create a contagious condition that can spread among individuals. What is the prognosis for someone diagnosed with lead poisoning? That question is difficult to answer. In fact, there are numerous factors involved in the prognosis of anyone exposed to lead. Typically, the diagnostician or doctor will give a prognosis based on the individual's age, when they were exposed, and the amount of lead dust or particles they ingested or inhaled in the length of time the exposure lasted. Other factors to develop a prognosis includes the patient's general health, other medical problems, developmental interventions they receive, and their diet. Low lead level exposure could produce asymptomatic responses where any visible signs or symptoms are not easily recognized. However, if the individual is continually exposed to low or elevated levels of lead, there can be significantly more problems that arise in the future. Our doctor diagnosed my child with lead toxicity. Is that different from lead poisoning? How does the consumption of healthy foods protect us from lead poisoning? A proper nutritional diet can prevent lead from entering the body of adults and children. Regular meals should include calcium-rich foods, iron-rich meat and plant products including split peas, oatmeal, beans and raisins along with vitamin C in grapefruit, oranges, broccoli, tomatoes, strawberries and natural fruit juices. Feeding your child healthy sources of fat from butter and milk and reducing the consumption of fatty foods can improve your child's brain development. My child was exposed to lead at school from drinking water or another source. Do we have legal rights to sue? If you can prove that your child was exposed to lead through no fault of your own, you have the legal right to seek financial compensation if they are a lead poisoned victim. However, suing a federal, state or local government agency can be difficult. Because of that, we encourage you to contact the lead poisoning injury attorneys at Rosenfeld Injury Lawyers LLC to discuss your legal options. We have successfully prosecuted lead poisoning injury cases like yours to ensure that our clients receive substantial financial compensation for their damages. We want to hire an attorney but cannot afford it. What are our other options? 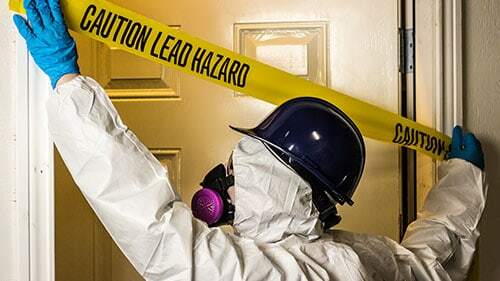 If you suspect your loved one was exposed to lead are now suffering pain, discomfort or illness, we encourage you to contact the premises liability and lead poisoning injury attorneys at Rosenfeld Injury Lawyers LLC. We will listen compassionately to the problems your family is suffering with now that one or more of you have been diagnosed with elevated lead levels. Our law firm does not require upfront payments or retainers to obtain our legal services. We accept every wrongful death lawsuit, premises liability claim, and lead poisoning injury case for compensation through contingency fee arrangements. This agreement will postpone payment for all our legal services until after we have successfully resolved your case by winning at trial or negotiating an acceptable out of court settlement on your behalf. We encourage you to call us today at (888) 424-5757. We provide every client a “No Win/No-Fee” Guarantee, meaning if we are unsuccessful at resolving your case for compensation, you owe us nothing. All information you share with our law offices will remain confidential. Who can be Held Responsible for my Child’s Elevated Blood-Lead Levels?